FREE: The entire Gospel of John (2 hours, 14 minutes). To access the full Word of Promise audio link your Word of Promise app account to the skill. Check if account is linked. To listen to John 3:16 say "Alexa ask Word of Promise to read John 3 16". 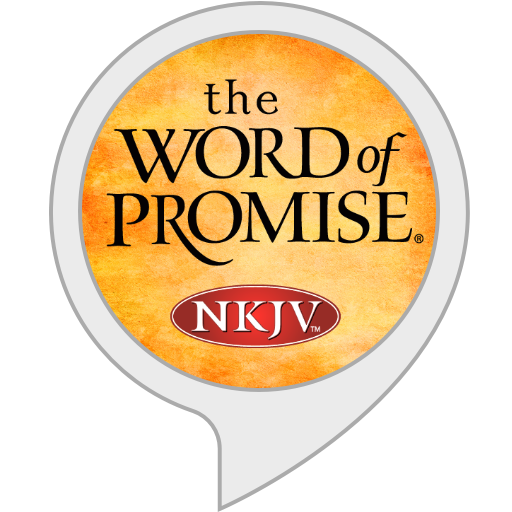 To listen to the book of John say "Alexa ask Word of Promise to read John". To listen to John 3:16 – 18 say "Alexa ask Word of Promise to read John 3 16 through 18". To listen to Sermons by Winning Walk – Dr. Ed Young, and Bible Studies by Merry Ministries. Alexa ask Word of Promise to listen to John Part 1. "Alexa ask Word of Promise to Read John"